Sierra View Country Club is more than a great golf course. Tennis and social events and dining round out the amenities. Future plans include adding Bocce Ball courts and Pickle Ball courts. 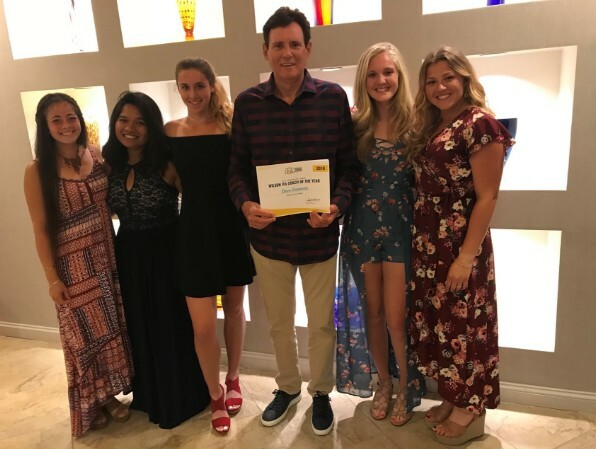 Sierra View’s Tennis Pro, Steve Dunmore, was named the 2018 International Tennis Association’s California and National Coach of the Year. Steve has been named California Tennis Coach of the year three times. Learn more about Steve and the programs he runs at Sierra View on the Steve Dunmore Tennis website. Sierra View Country Club is the only private country club in the area that offers a full tennis program to both tennis members and golf members. Sierra View’s junior tennis program gives players between the ages of 5 through 18 the chance to learn and develop their skills. All levels are welcomed. Junior programs are offered in the Fall, Spring and Summer seasons in group settings. Individual private junior lessons are offered year-round. 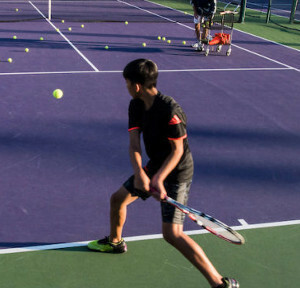 A Sierra View Junior Tennis Membership is available with additional benefits. Please contact the tennis pro-shop at 916-783-9887 with specific information for your particular needs. 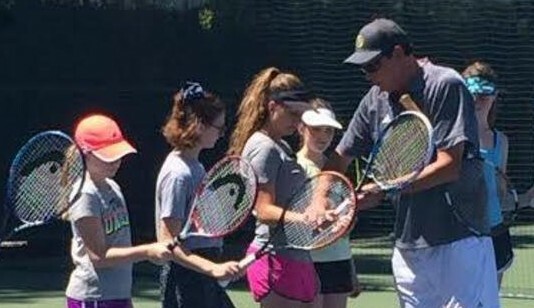 Sierra View Country Club’s Tennis Program is managed by its Tennis Pro, Steve Dunmore. Steve is certified as a Tennis Professional by the USPTA and the United States Professional Tennis Association. Steve’s passion and dedication for the game of tennis has contributed to building the program over several years and continues to provide an environment for all ages to discover the game and refine their skills to continue playing for years to come. For more information about Sierra View Country Club’s tennis program, call Steve at 916-783-9887 or email Steve Dunmore at tennis@sierraviewcc.com Come join the fun! Enjoy everything Sierra View has to offer. Check out the various membership plans.